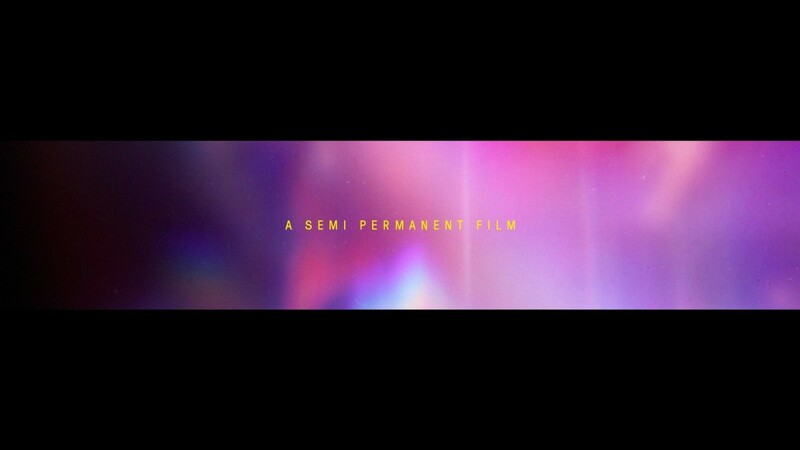 In the finale of a four-part series in collaboration with Dropbox, motion designer Joyce N. Ho breaks down the Semi Permanent 2018 title sequence scene-by-scene. Read Part I: Meet Joyce N. Ho, here. Read Part II: The collaborators interview here. Read Part III: Creative tension here. "It's been a whirlwind. I've been so close to the project that it still feels really fresh to me. And maybe once I give it a few more months I can truly appreciate all the work we put in." 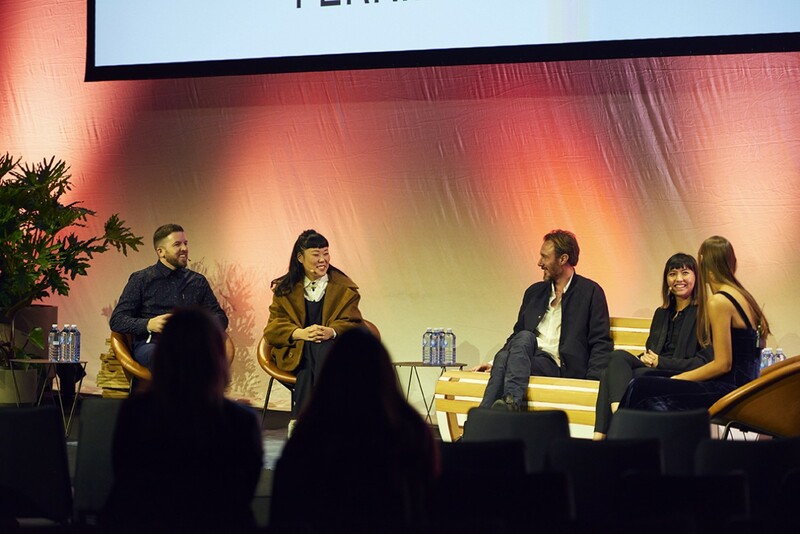 The Semi Permanent opening titles is an annual tradition, one where we give the keys for a designer to truly make their mark in front of the design community’s best and brightest. 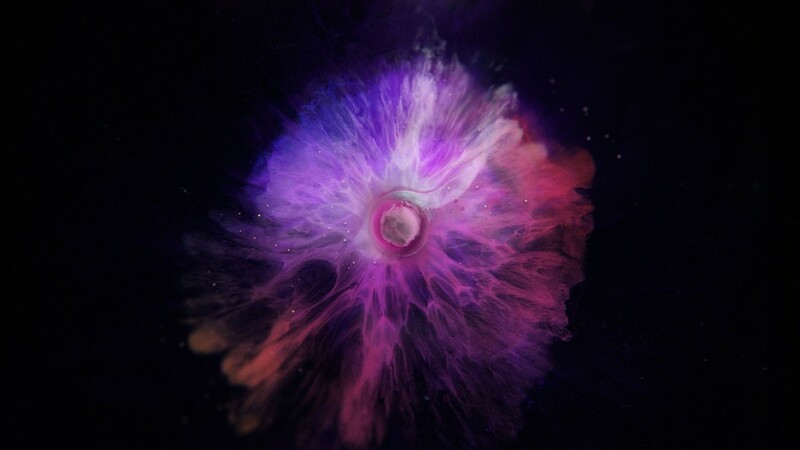 This year, Joyce N. Ho and her team of global collaborators (with some help from Dropbox) created a feast for the senses; a futurist dreamscape inspired by science, colour and the obliteration of creative tension. Joyce Ho: The very beginning represents the beginning of an idea and the notion of tension (where all your creative concepts are still forming). You're in the beginning stages with a swirl of directions. This shot shows all these opportunities forming into one idea. 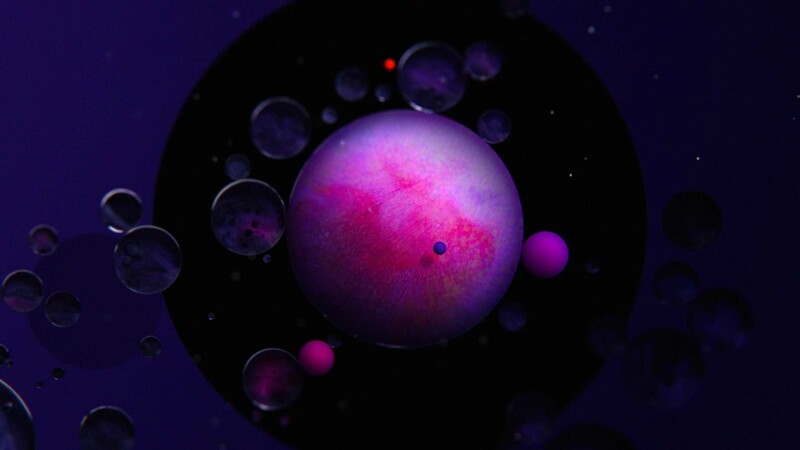 The sphere moving on the liquid background at 15 seconds was by Davy (Evans — artist) and myself. This was the most technically difficult to figure out. Davy had a big tray of paint that he stuck half a styrofoam ball on which was connected to a magnet. 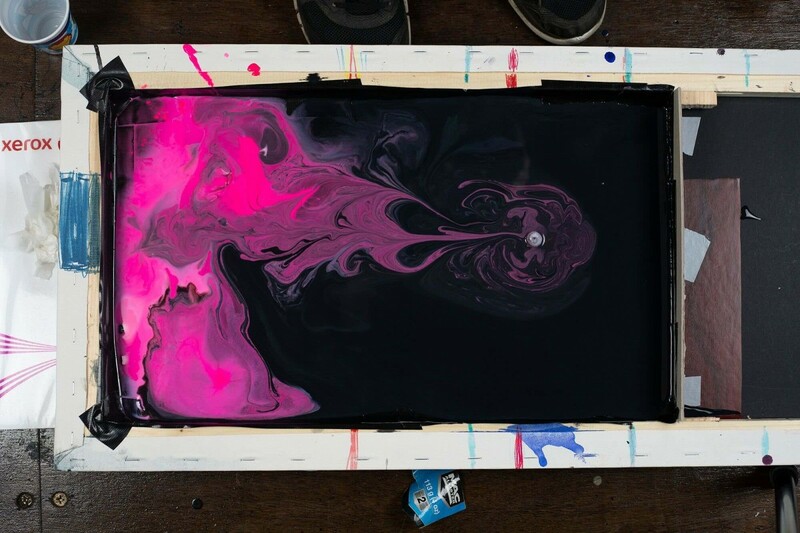 He placed another magnet underneath the tray to make it move so the magnet was pushing the paint into these beautiful textures. Then I composited a digital sphere over the top so it would look like it was pushing the ink, but I used his textures so it would seem more cohesive. The camera you see panning with the sphere was done in post. Shooting in 4K allowed us enough dimension to zoom-in and follow the ball. Again, it took a lot of trial and error to get right. Davy had a tonne of other things to consider too, like the viscosity of the paint, the texture of the sphere, the frame-rate he shot at, as well as trying to move the ball in time with the music. Shoutout to Davy for his willingness to try all my crazy suggestions and his dedication to getting the shot! Hugely inspiring. When I think back to the work I was creating and wanted to create at Joyce’s age, it was far from this. Her foresight to see the completed piece whilst it was still just a fragile handful of ideas and to choose the collaborators she did is beyond her years. Ambrose Yu, Composer: Generally when people approach me about composing a track before any animation or design have been completed, I get pretty nervous because there is a lot of creative decisions that I'm making for the tone and pacing of the piece. But Joyce wrote such a thorough treatment that the visual direction and pacing were pretty easy to imagine. The biggest sources of inspiration were the visuals she provided. 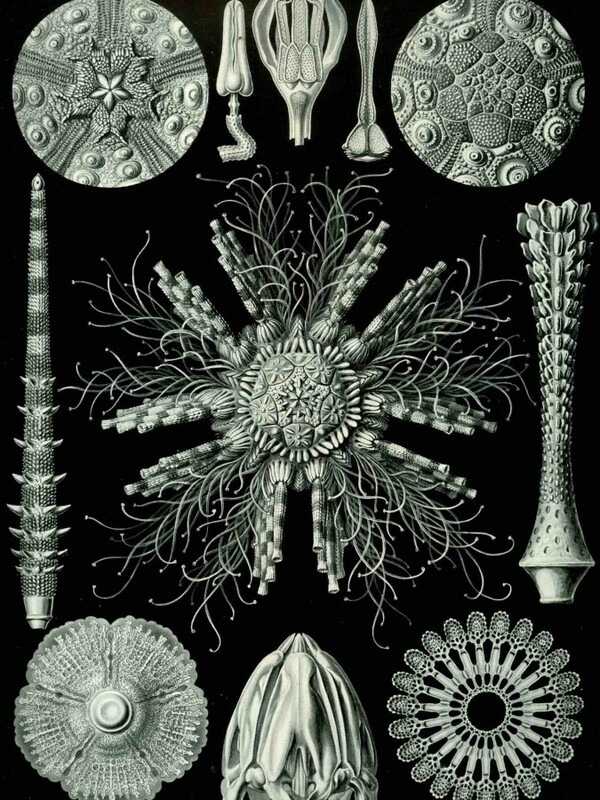 She had these biology illustrations from Artforms in Nature by Ernst Haeckel paired with modern, vibrant images of plankton and coral. The idea of blending the old and the new from such different mediums seamlessly and in an aesthetic that felt timeless was really interesting to me. It made me want to draw from classical instrumentation or compositions for inspiration but produce a song that felt timeless. The other sources of inspiration from the treatment were the descriptions of the 3 narrative acts of the piece. Act I was titled 'Push and Pull'. For some reason, Debussy's orchestration of Erik Satie's Gymnopedie No. 1 (which is super confusing because Debussy renamed it Gymnopedie No. 3 or something?) kept coming to mind. I've always liked how the two chords in the intro could repeat forever and sound like melting butter—or like a warm blanket on your ears. So I used two major 7 chords of the same interval as the building blocks of the intro to the titles music. As I started working with the chords, I wanted more tension and uncertainty so I played with chord inversions, changing the bass note and very dramatic crescendo/decrescendos. Instrumentation-wise I wanted orchestral strings to be the main voice but for the other layers of effected guitar, bass synth and recorded violin to texture the sound. 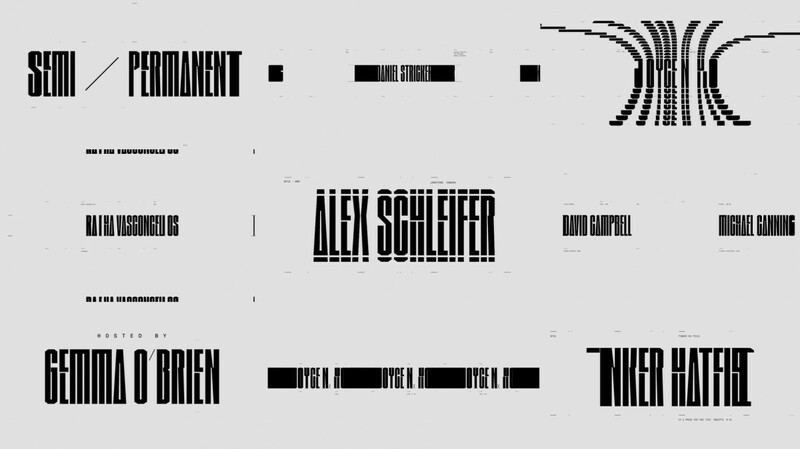 Nicolas Girard (Worship), Type Designer: From the start, we knew Joyce wanted to avoid using small white type since it’s become very common in title sequences. We also knew that the titles would be colourful and playful, which we haven’t done a lot in the past. But titles projects like this are always a good opportunity to experiment. Knowing that we wanted to create something completely custom and tailored, we began to experiment with a few character sets. Joyce Ho: This act represents multiple aspects of a project that may be causing conflict; whether it be the timeline or the budget or the actual project itself, it's where things are evolving and sometimes not working out the way you want it to — that little bit of friction in the creative process. And yes, I felt like I was living out all these stages through the creation of the titles in real life! This particular section was inspired by mitosis or the scientific principle of cell division. I wanted to give the shot balance, so it represents the idea of that if you change one thing, there is cause-and-effect. Ambrose Yu: Act II was built on the same two chords as before but I wanted the section to feel like it was building into something epic. Joyce had shared a specific part in Music for 18 Musicians by Steve Reich after the 15-minute mark that featured a driving 16th-note rhythm that sounded like it was created using violin and piano samples. I really liked the energy of that so decided to record myself playing bowed 16th-notes. After jamming out the part a bit, an accented rhythmic pattern kind of just emerged out of it. I liked that I could bob my head to it, so I doubled the pattern with col legno violin and strumming my violin like a guitar. To keep the tone happy and lighthearted, I used an OP-1 to play an ascending arpeggiated part that also helped the feeling of ‘building’. We landed on a custom set of glyphs, which could embody our DNA while letting other contributors shine. To juxtapose the organic imagery, we went for a more block/military style. The blockiness of the letters added impact and structure to the type, so even when paused mid-animation, it would look interesting. Joyce Ho: This section was created by Nidia (Dias — art director) and she absolutely killed it. My brief to her was that this is the third act of the story (right before the climax) where the hero microorganism has evolved into its most complex form. 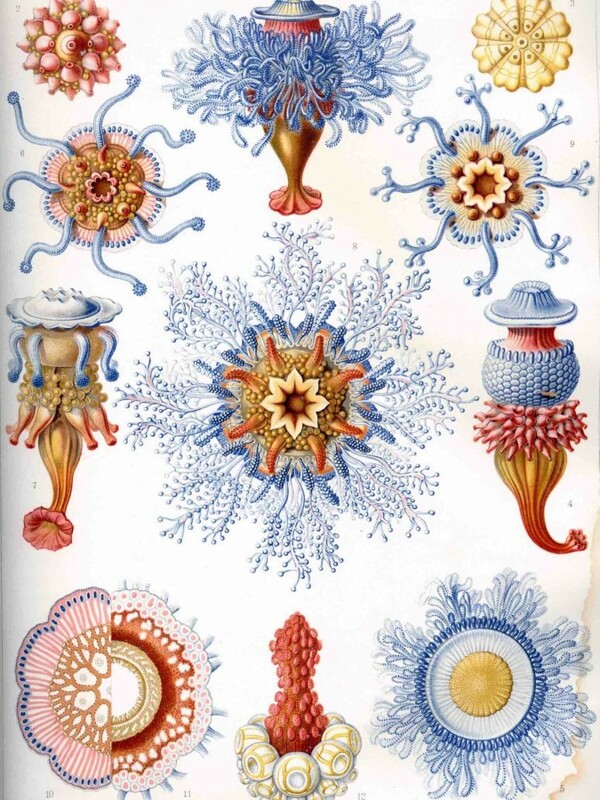 I thought it was important for the design here to have tentacles, and to be suspended in water — a giant nod to Ernst Haeckel's work. One technical difficulty we had here were with the tentacles. We found it really difficult to achieve these in 3D because while they looked great from the side, once you placed the camera above them so the tentacles were in an array, the animation didn't look the same — it was lacking depth. So I animated the tentacles in 2D using a rigged Newton joint, and then Nidia comped it into the 3D shot. It was a prime example of how us combining different mediums really worked out. Ambrose Yu: Act III was meant to feel like a ‘release’ (as Joyce said) and to continue to grow in complexity. I wanted the music to do the same. This part just became all about adding instrumental layers until an epic ending. The first version of the music had elements of sound design that I included to try to inspire some animation. But once the animation was finished and we ended up keeping sound design pretty minimal. At the end, the music arrangement stayed pretty similar to the first iteration. 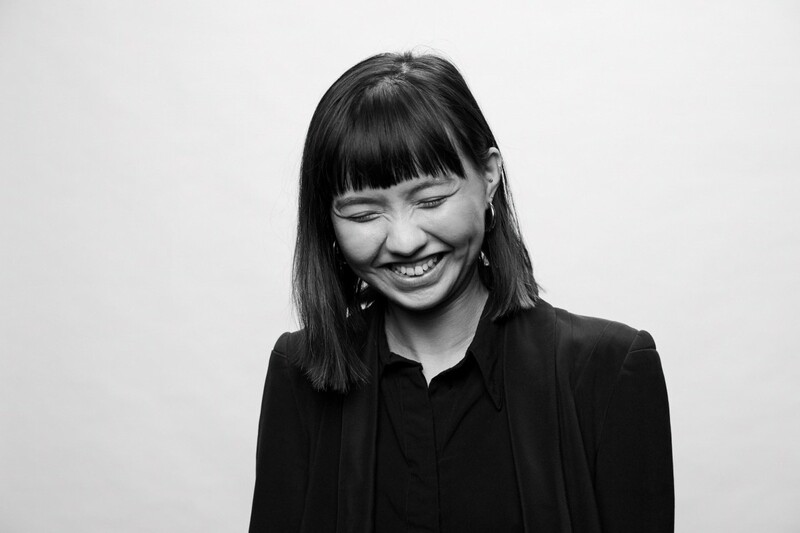 Joyce Ho: In terms of software, we used a huge range of programs: primarily After Effects, Adobe Photoshop, Cinema4D and William (Arnold — art director) used Arnold for his textures. Dropbox was really instrumental in sharing work with each other. Sharing files non-stop, it was really easy to do it through Dropbox where the files sync automatically. At around 1:29, this explosion shot was a collaboration between Somei (Sun — motion designer) and Davy. Somei animated 3D organism bursting open, then dissolving. He then comped that on top of Davy’s paint textures. Doing this meant that the shots matched the scale and speed of each other's textures. [The camera shifts] were very intentional here, I felt it gave the explosion more oomph and intensity. Once we had our entire set of glyphs designed, the most challenging aspect was to navigate an ever-evolving edit. It was important to us that the type never overpowered the imagery. Getting the music early on was really helpful. It shaped how we wanted the type to move and progress. As the music crescendos, so do the letters in motion. Joyce N. Ho: In terms of piecing it all together, I knew if I kept the colour palette consistent and kept all the compositions centred, it should have a visual link. But it was hard to know until I saw everyone's pieces, but luckily it worked out. We definitely embraced the feeling of cuts so we didn't have to do so many seamless transitions. Everything was just awesomely cut together by our editor Alex. Looking back at it all, I’m so immensely proud of what we created together. It was a huge effort on everyone’s parts and this has truly been a creative and personally rewarding experience. To Murray and all the team at Semi Permanent, my collaborators, Matt Miller and Ways & Means, my mentors and friends & family, thank you so much for your support! Semi Permanent: We knew at the concept level that this year's titles needed to stand for more than its output. So it was an honour to work with Dropbox and lay out what we believe to be a blueprint for a new, more collaborative way of working. Of course, collaboration is nothing new, but technology advances and ideological shifts have removed real and metaphysical borders from the equation — flow is universal, tension is inspiration, and the biology of creative ideas is limited only to the diversity of those you choose to share it with. Throw these ideas at your next creative project, and watch amazing things happen.